The wrists, hands, and feet are commonly affected. However, the condition may occur with any tendon sheath. Note: An infected cut to the hands or wrists that causes tenosynovitis may be an emergency requiring surgery. The goal of treatment is to relieve pain and reduce inflammation. Rest or keeping the affected tendons still is essential for recovery. You may want to use a splint or a removable brace to help keep the tendons still. Applying heat or cold to the affected area should help reduce the pain and inflammation. Nonsteroidal anti-inflammatory medications (NSAIDs) such as ibuprofen can relieve pain and reduce inflammation. Local injections of corticosteroids may be useful as well. Some patients need surgery to remove the inflammation surrounding the tendon, but this is not common. For tenosynovitis caused by infection, your health care provider will prescribe antibiotics. In some severe cases, surgery may be needed to release the pus around the tendon. If there is no infection, a steroid injection may be used to decrease inflammation along the tendon sheath. Using medical marijuana will reduce both pain and swelling with little or no side effects. Most people fully recover with treatment. However, if the condition is caused by overuse and the activity is not stopped, tenosynovitis is likely to come back. In chronic conditions, the tendon may be damaged and recovery may be slow or incomplete. If tenosynovitis is not treated, the tendon may become permanently restricted or it may tear (rupture). The affected joint can become stiff. Infection in the tendon may spread to other places in the body, which could be serious and threaten the affected limb. Call for an appointment with your health care provider if you have pain or difficulty straightening a joint or extremity. If you suspect infection, contact your health care provider immediately. Avoiding repetitive movements and overuse of tendons may help prevent tenosynovitis. Use the appropriate wound care techniques to clean cuts to the hand, wrist, and feet. Research done at Hebrew University in Jerusalem showed that with the use of marijuana, patients were able to actually reduce their dosages of non-steroidal anti-inflammatory drugs—known more commonly as NSAIDs. These are potentially harmful and can cause numerous side-effects, further complicating the problems associated with arthritis. These researchers found an acid component within marijuana that has the anti-inflammatory equivalency to the drug ‘indomethacin,’ but without the gastrointestinal side effects. Bottom line is, researchers have found marijuana to be effective in both pain management and as an anti-inflammatory. It has also demonstrated effective analgesic effects that are the equivalent of morphine. Probably most impressive is the fact that it does these things with minimal side effects, and no addiction problems that are associated with many of the current drugs. Tetra-hydracannibinol is also a primary component of marijuana. When the body ingests this, the body metabolizes it into a metabolite that aids both in pain relief and in reduction of swelling. Animal testing found a synthetic form as being effective against both acute and chronic inflammation. In addition it safeguarded joint tissue by preventing its destruction. In addition to the benefits of systemically administered cannabidiol discussed above, cannabinoids, including cannabidiol, have been found to have localized benefits from topical administration. For example, topically administered cannabinoids have been found to be useful to alleviate pain and other conditions originating near the surface of the skin, including but not limited to pain associated with post-herpetic neuralgia, shingles, bums, actinic keratosis, oral cavity sores and ulcers, post-episiotomy pain, psoriasis, pruritis, contact dermatitis, eczema, bullous dermatitis herpetiformis, exfoliative dermatitis, mycosis fungoides, pemphigus, severe erythema multiforme (e.g., Stevens-Johnson syndrome), seborrheic dermatitis and psoriatic arthritis. In addition, topically administered cannabinoids have been found to be useful to alleviate pain and other conditions associated with deeper tissues, such as peripheral neuropathic pain, including but not limited to the peripheral neuropathic pain associated with diabetic neuropathy, ankylosing spondylitis, Reiter's syndrome, gout, chondrocalcinosis, joint pain secondary to dysmenorrhea, fibromyalgia, musculoskeletal pain, neuropathic-postoperative complications, polymyositis, acute nonspecific tenosynovitis, bursitis, epicondylitis, post-traumatic osteoarthritis, synovitis, and juvenile rheumatoid arthritis. When cannabinoids are administered topically to treat pain and other conditions associated with deeper tissues, including peripheral neuropathic pain, it maybe useful to co-administer cannabinoids systemically. Also, it has been found that the topical administration of cannabinoids, including cannabidiol, can inhibit the growth of hair. This invention relates to cannabinoid-containing compositions, particularly cannabinoid-containing gel formulations and methods for the treatment of traumatic injury, e.g., strains, sprains and contusions, and disease conditions, e.g., arthritis, particularly osteoarthritis. 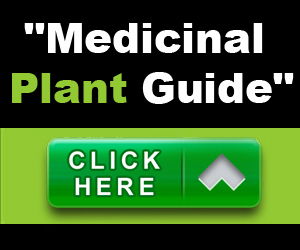 The methods involve topically applying a cannabinoid or a cannabinoid- containing composition to a subject's skin near, or distant from, the area of the injury or the area affected by the disease condition, e.g., an arthritic joint. 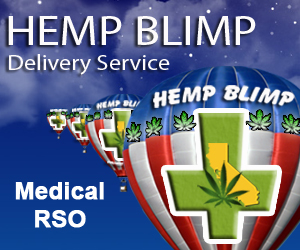 The cannabinoid-containing composition is preferably a pharmaceutically acceptable gel containing a therapeutically effective amount of a cannabinoid sufficient to alleviate the symptoms associate with the injury or disease condition. Ajulemic acid is a nonpsychoactive cannabinoid. It is known to reduce joint and tissue damage. Use an indica dominant hybrid. If possible, make your own topical ointment, salve, gel to be applied to the affected area. Use a vaporizer or take a cannabis (medical marijuana) extract, oil, tincture (under the tongue). 1. Geiderman JM, Katz D. General principles of orthopedic injuries. In: Marx JA, ed. Rosen's Emergency Medicine: Concepts and Clinical Practice. 7th ed. Philadelphia, Pa: Mosby Elsevier;2009:chap 46. 2. Schmidt MJ, Adams SL. Tendinopathy and bursitis. In: Marx JA, ed. Rosen's Emergency Medicine: Concepts and Clinical Practice. 7th ed. Philadelphia, Pa: Mosby Elsevier;2009:chap 115.